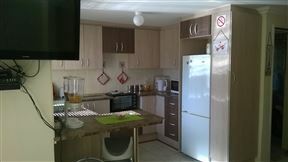 Celtis Country Lodge , Karoo Heartland Best Price Promise! 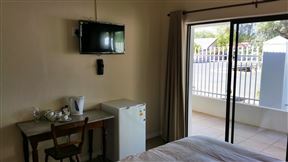 Celtis Country Lodge is your affordable halfway stopover while travelling on the N9 or N10, with friendly staff and lovely 3 Star rated units. The kids will enjoy the swimming pool, jungle gym and trampoline while you can relax and enjoy the peaceful garden and sitting around the fire. 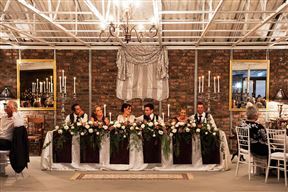 Die Tuishuise consists of 25 restored Karoo cottages in Market Street, Cradock. Each cottage is decorated antiques and period prints to capture Settler living at the turn of the century. Recipient of the Simon van der Stel gold medal for restoration and the AA Heritage accommodation award in 1999, it is like stepping back in time. The Old Butler House is 2 beautiful houses built in 1814 and 1840. 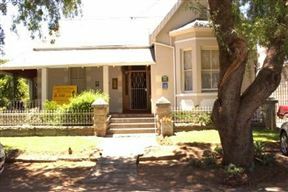 The 2 old manor houses are located next to each other in the historic part of Cradock, each with its own unique history. We offer six en-suite bedrooms, each with its own TV, and communal kitchen facilities are available. Secure parking and barbecue facilities in a lovely garden are provided, and if guests so choose, meals can also be arranged.